Many experts feel that there are no significant differences in the economic policies between UPA and NDA. There may be ideological differences, but not in economic policies. Both Congress and BJP now favor a free market economy. The recent Union Budget for the year 2014-15 by Finance Minister Arun Jaitley strengthens the argument about the continuation of similar UPA policies by NDA. 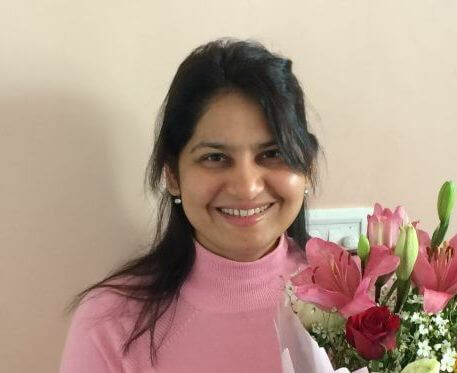 Let’s see the budget as a vision document for India’s growth and analyse if there are any big bold reforms or paradigm shift in the full Union Budget 2014. 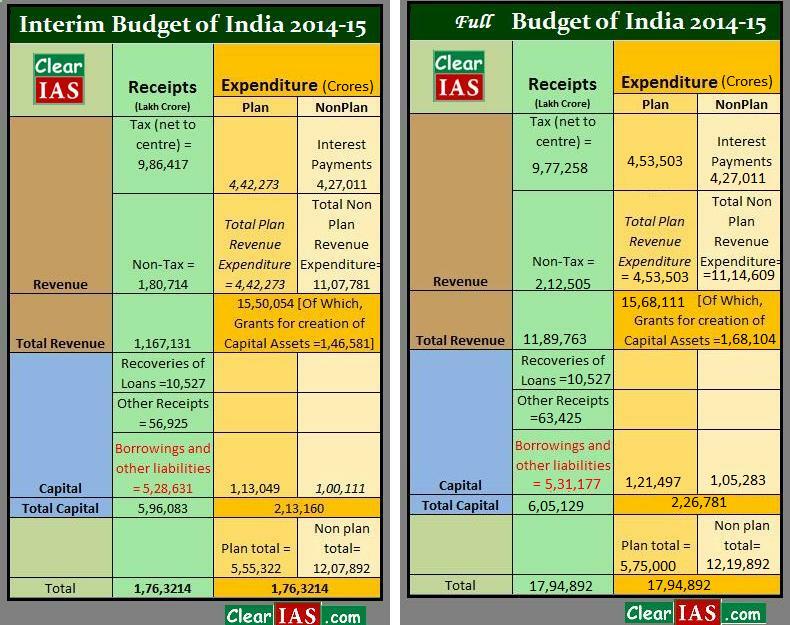 P. Chidambaram’s Interim Budget 2014-15 and Arun Jaitley’s Union Budget 2014-15 : Which one is better? Don’t fall for the title; that’s just to raise the curiosity :-). UPSC never ask which budget is better; but this analysis might help you to understand the intricacies in Budget documents. Let’s compare Union Budget of India 2014 -15 presented by Arun Jaitley today with the interim budget presented by former Finance Minister P. Chitambaram in Feb 2014 for the same period, ie. 2014-15. Interim budget 2014 didn’t had many policy announcements, as it was the budget of an outgoing government. But we are not going to discuss the qualitative aspects here, but just numbers. In our last analysis on Interim Budget 2014-15, we had already pointed out many short-comings in the interim budget of a struggling Indian Economy, which many analysts missed. Re-listing some of the important observations. Very low allocation for Capital Expenditure (Interim Budget 2014-15 figures are less than the 2013-14 budget estimates!). Revenue expenditure in the form of subsidies, pensions and interest payments which are unproductive form more than 80 percent of tax revenue. 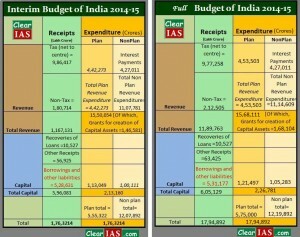 Low non-tax estimates when compared to the revised estimates of budget 2013-14. Budget documents mention about reduced deficits like FD, RD, ERD, PD etc in 2014-15, but upon keen analysis it can be identified that those figures are arrived because of the low capital expenditure. India, without doubt, needs to find ways to cut its revenue expenditure in the non-plan expenditure part – the unproductive spending on interest payments, subsidies and pensions. Total tax receipts as percentage of GDP for 2014-15 is proposed at 10.7%, while total expenditure is proposed at 13.7%. Interest payments as a percentage of net-tax revenue for 2014-15 is proposed at 43.3%. Is Union Budget 2014-15 by Arun Jaitley better than UPA budget? As mentioned earlier, both budgets are for the same financial year 2014-15. But Union budget 2014 has higher expenditure by about 31,678 crores than the interim budget 2014. Let us see if the new Finance Minister, Arun Jaitley has done something to address the above mentioned short comings of UPA’s interim budget. Capital Expenditure: Out of the increased expenditure of Rs. 31678 crore, 13,621 crore is towards capital expenditure under Plan and Non-Plan heads (which is good, though the figure is not great). Increase in Revenue Expenditure percentage: There is an increase in unproductive revenue expenditure while the tax revenues are less (not recommendable, obviously!). Non-Tax Estimates: Better resource mobilisation of non-tax revenues worth extra Rs. 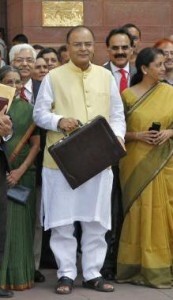 31,791 crore under the full union budget, making the total non-tax estimates 2,12,505 crores. FD=4.1, RD=2.9,ERD=1.6 and PD=0.8. (Almost same as the interim budget figures or just slightly better). Amount spent on interest payments shown as the same. But more borrowing in the Union Budget 2014-15 adds worries. Total tax receipts as percentage of GDP for 2014-15 should be less than the Chidambaram’s budget figure of 10.7%. (Not recommendable; populist measure for taxpayers and corporates. Only excuse for low taxation can be inflation). Total expenditure may also cross the 13.7% of GDP noted in the interim budget for the same period (bad for fiscal consolidation). Interest payments as a percentage of net-tax revenue for 2014-15 will also slightly increase than the 43.3% figure in the interim budget (Non-productive; high value may lead to debt trap). So, what’s new in the Arun Jaitley’s Union Budget for 2014-15? Mobilization of extra Non-Tax receipts of Rs. 31,791 crore. Extra borrowing of Rs.2,546 crore than what mentioned by Chidambaram. Other receipts (read disinvestment) by Rs. 6500 crore more than outlined by Chidambaram in his interim budget for 2014-15. Extra capital expenditure of Rs.13,000+ crores. 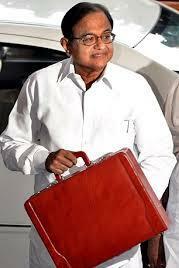 Numerous policies, programs and schemes are announced in the full Union Budget for 2014-15. 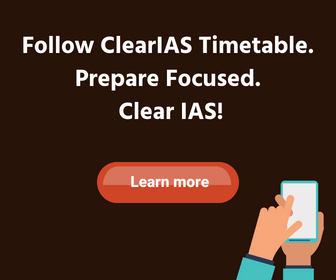 Tax slabs are revised and there is change in taxation rates of different items. There are also slight changes in the expenditure priorities. But these are all qualitative measures of collecting and disbursing the taxpayers money. There is no doubt that these qualitative measures have the potential to raise or lower Indian Growth Trajectory. But focusing on the numbers, on the quantitative terms, the full budget 2014 by Arun Jaitley is not different from the interim budget 2014 by P.Chidambaram. There are few pluses and minuses here and there, and few re-adjustments and name changes in the schemes; but there are no big bold reforms! Apart from the extra Rs.31,716 crores which Mr. P. Chidambaram missed on the non-tax revenue, every thing else is a just a re-adjustment and re-doing of the last UPA government. A continuation of the same policies, with the short-comings on the macro-economic picture not fixed properly! That doesn’t mean that the budget is bad. It just mean that the budget is as good only as the last budget from the outgoing government. With clear mandate from the people, Union Budget 2014-15 could have been made better. Budget: No big idea so far. Close your eyes and it could be Mr Chidambaram’s speech.